Hello everyone! I've been working on final edits for my third book and also finalizing my e-course curriculum for our upcoming November Blogging Your Way: Intention & Style class (we just started enrolling, yay! ), so I've been a bit scattered lately as you can imagine. 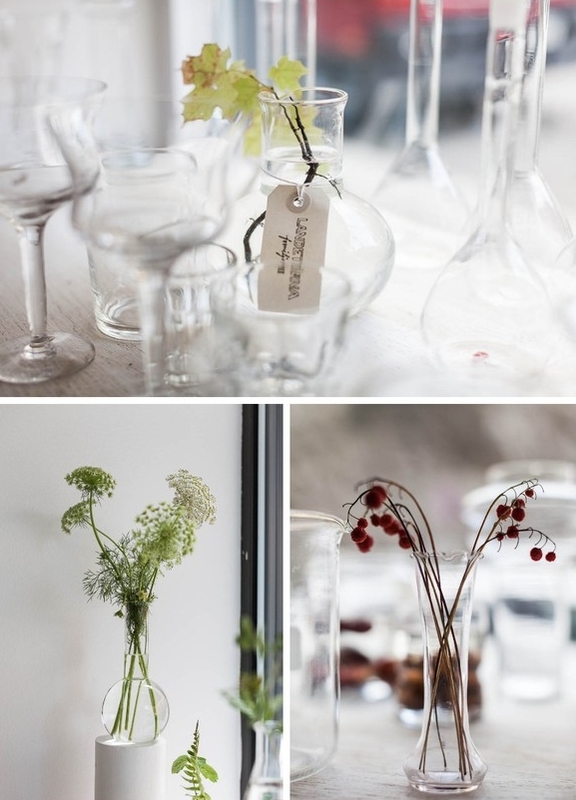 I found something very interesting and spectacular via a reader that I have to highlight quickly - a wild flower and plant shop in Sweden called Landet Järna on my friend Emma's blog. 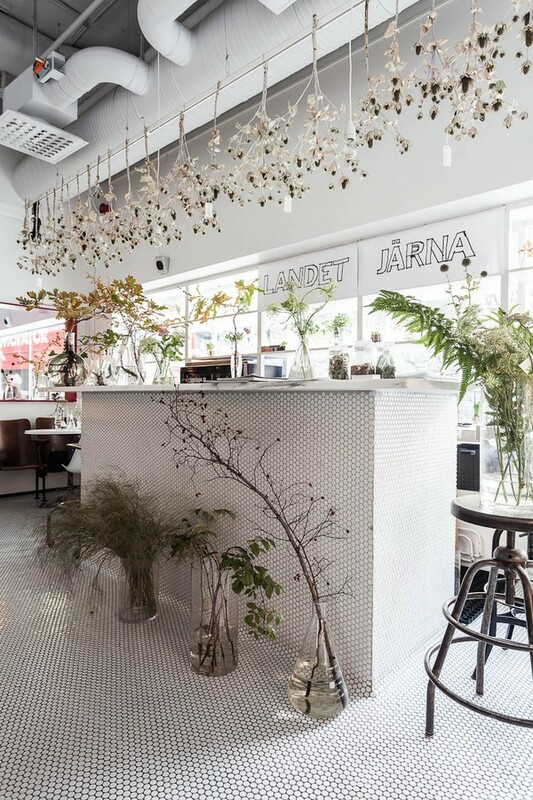 Landet Järna, located at Hornsbruksgatan 24, Hornstull, Stockholm, gathers their finds from nearby forests such as branches, tiny oak trees, lingonberry bushes and ferns. As a forest gatherer myself (I have one behind my house), I am inspired to go later this afternoon with my friend Kristina and see what I can find for my dining table - I'd love some berry branches. I also have so many lab bottles, vintage apothecary bottles and glass vases that I'm thinking to pull together a pretty display in my home inspired by Landet Järna. These gorgeous photos were taken by Mikael Axelsson. Emma always finds neat things in her country and I love being able to access Sweden in the click of a mouse. We're all so lucky to have design bloggers tapping away on their keys all over the world to bring us their impressions on style & design. Thank you Emma for being my Scandinavian design go-to girl! I think everyone who follows your blog appreciates you so much. Oh readers, if you are fans of Emma you have to get the book that she helped to write and edit called Northern Delights. I have a copy and it's stunning. By the way, I have to mention that I attended a local home fair called INFA and found some interesting things like two DaWanda shop owners, Julia Dettmer and Maschaa, who had the sweetest handmade goods and a small company from Kyrgyzstan called Jurten where I bought my future son the most adorable felted squirrel. We also came upon a South African company called Design Africa where we bought delicious rooibos tea and a leather postman bag for my husband. The owners were also the loveliest and best-dressed men at the fair. They're both originally from Cape Town and we had the nicest conversation with them; in fact our meeting inspired me to want to visit Cape Town since I'd never met anyone from there before other than online friends. I'm definitely more intrigued than ever.